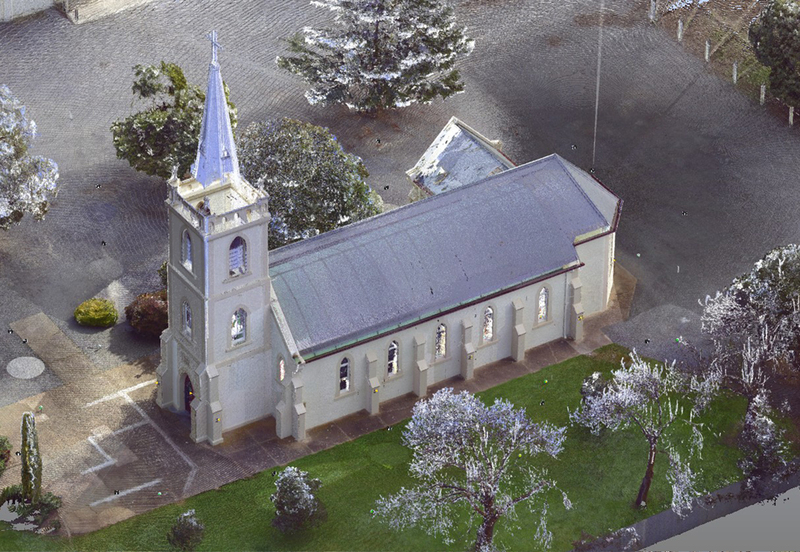 3d laser scanning enables us to create survey accurate 3d models of almost anything, and is ideally suited to capturing extremely detailed information for documentation, design & construction purposes. 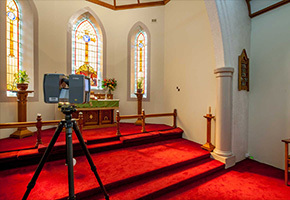 The technology delivers increased accuracy and safety over conventional capture methods, and offers huge time and cost savings for clients who have already embraced 3d design software into their workflow. 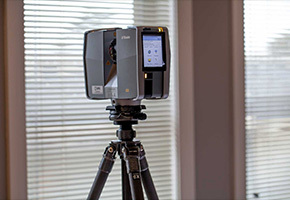 A 3d Laser scanner records data points similarly to a reflectorless total station, however where a total station relies heavily on user input for sighting and code input for each point recorded, the laser scanner will autonomously record millions of points in a 360 degree arc from each scan location. 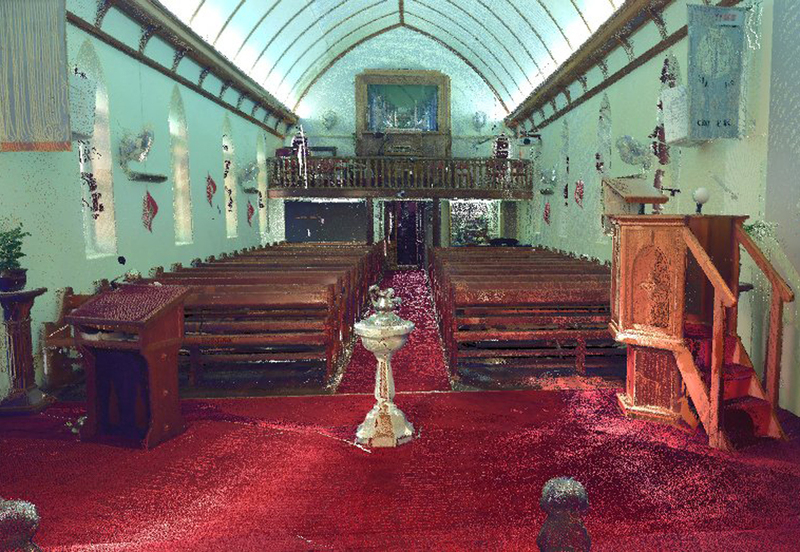 Scans are then referenced (merged) and processed into a “point cloud” which can either be supplied as is to the client, or further processed into a variety of deliverables such as 2d floor plans, 3d renderings and walkthroughs. 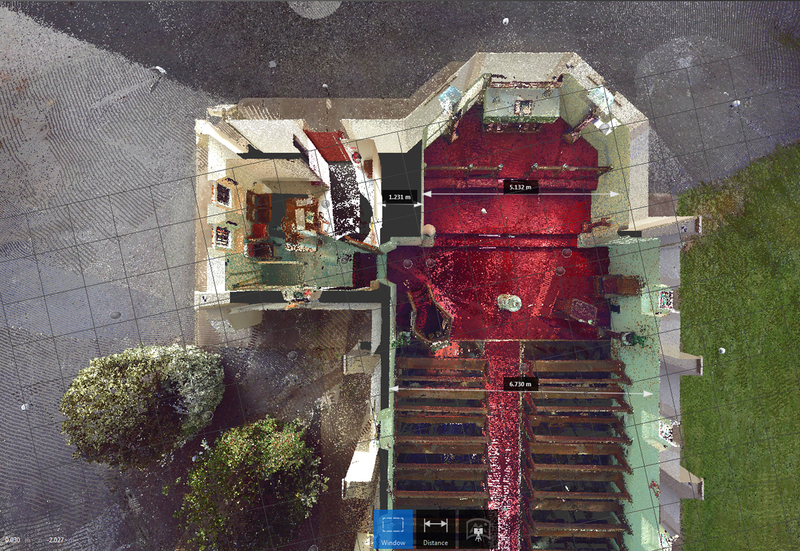 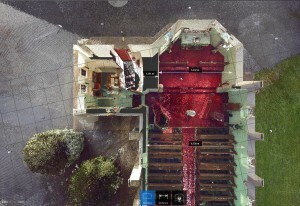 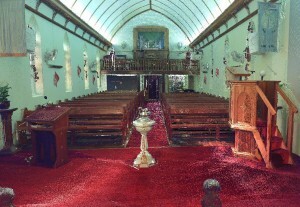 Even without 3d capable software, clients can still interrogate a point cloud for dimensions with free software.